As a function band acquired for a diverse range of events, The Talent can provide musical entertainment for weddings, parties, and much more. On the 20th October, we have been asked to provide entertainment for the Butchers’ and Drovers’ Charitable Institution. We are extremely excited for this event and you should be too! The Butchers’ and Drovers’ Charitable Institution (BDCI) is a meat industry’s own trade charity who provides support for those who work, or have previously worked in the meat industry and have encountered unfortunate circumstances. Assistance is given to those persons, partners, or dependent children, who are, or have been connected with the meat trade within the UK and Ireland. The Talent fully support what this charity is achieving, and we know you do too, and you can show it by attending this amazing charity gig! Hiring a band for a charity gig brings numerous benefits for both the charity hosting the event and the band themselves. Entertainment is a large part of any event as it creates a better experience and life-long memories as something to take away for those who have donated. The atmosphere can affect those who are in attendance, and by creating a better vibe, it will make the charity gig much more memorable, and it can also make the band a talking point, bringing your attendees together; what charity is all about. We absolutely love what we do, and we want to help increase donations to worthy causes such as this as much as possible. With more in attendance, this will increase the awareness for ongoing support, and of course it will also increase the amount of donations and support given to the charity. And a live band can help to achieve just that; by contributing to the event, it can help make the charity event a success. We have been providing musical entertainment and livening up events for 15 years, and this has led to us becoming one of the busiest party bands in Europe! 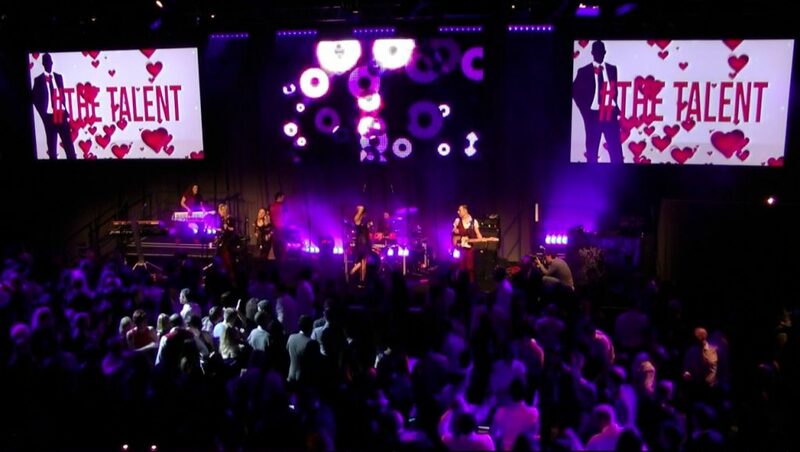 Having performed with many top acts within the industry including Labyrinth, Bonnie Tyler and Robbie Williams, as well as performing at some of Europe’s top venues including Wembley Arena and the Royal Albert Hall, we are confident in providing the best entertainment for you. There aren’t many who can rival an entertainment package like ours; we offer an array of different band options that can be tailored based on which would best fit your event. This includes, our Core 6 piece Band, our 12 piece The Talent Show Band, our acoustic duo, Jazz and Swing, Bandeoke, our Full Band Production, or 3, 4, or 5 piece options. We offer every style of entertainment to ensure that your event is everything you imagined. We are not just situated in London either, we travel internationally to cater for a wide range of events, bringing our positively infectious vibe wherever we go! With a long list of previous clients including big names such as O2, Barclays, and BBC, we will bring our very best to any event. 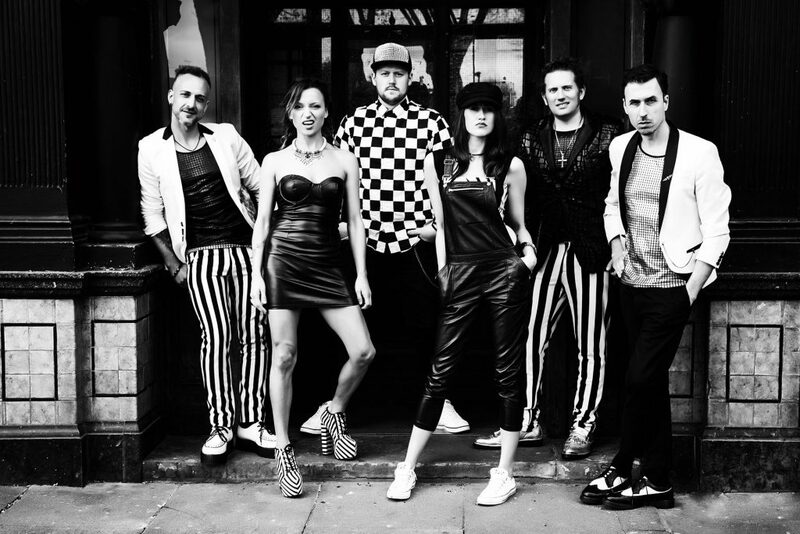 If you’re looking for a function band hire in London, or elsewhere, to bring entertainment to your event, we are the perfect choice for you! Get in touch with us today by calling +44 (0)1206 820212 or +44 (0)7950 729708, or alternatively, you can email us at info@thetalentevents.com.